Black Lives Matter protest leader Charles Wade was arrested in April and held on seven counts relating to human trafficking and prostitution. 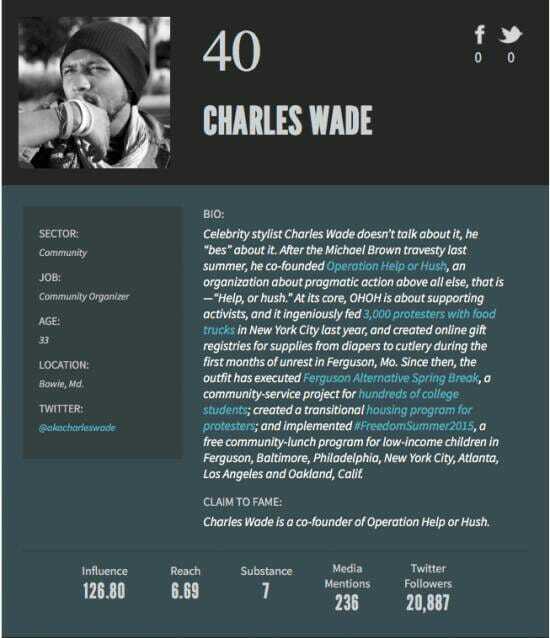 Charles Wade was a leader in the Ferguson, Missouri Black Lives Matter movement after the death of robber Michael Brown. Wade was flown to Geneva, Switzerland to speak to the United Nations on police abuse in November 2014 before activists ransacked, torched and looted Ferguson, Missouri businesses. 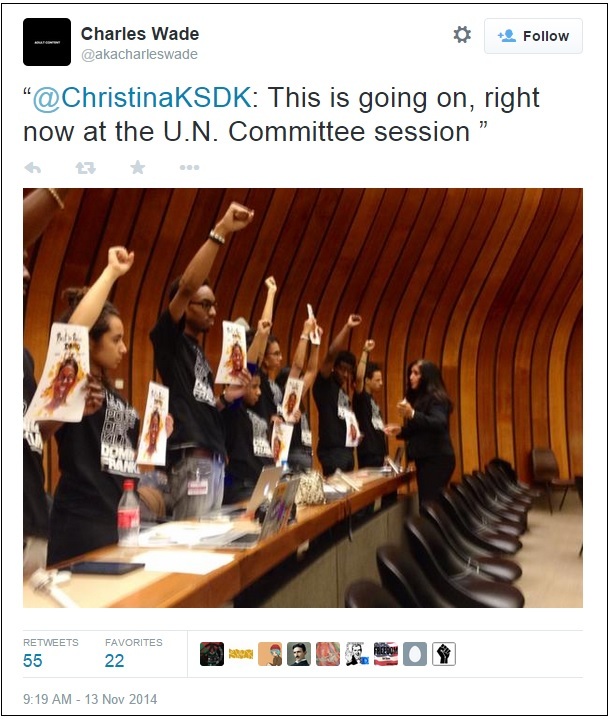 Wade and fellow Black Lives Matter activists stood with raised Black Power fists at the UN meeting. Charles Wade was arrested in April on prostitution and child trafficking charges. On April 25, he really got himself in a fix. He was arrested and charged with human trafficking and several prostitution-related charges. 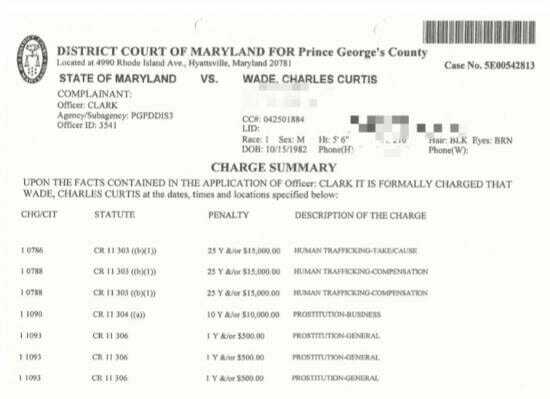 The police report notes, that as part of the charges, he is accused of allegedly pimping out a 17 year old girl in Prince George’s County, Maryland. The police report notes clients allegedly called his phone and arranged with him for ‘dates’. Wade is insisting he’s innocent.